Designing a great looking leaflet or flyer that stands out from the crows takes some creative imagination, especially if you want to move away from a bog-standard leaflet template based approach and look at creative layouts. 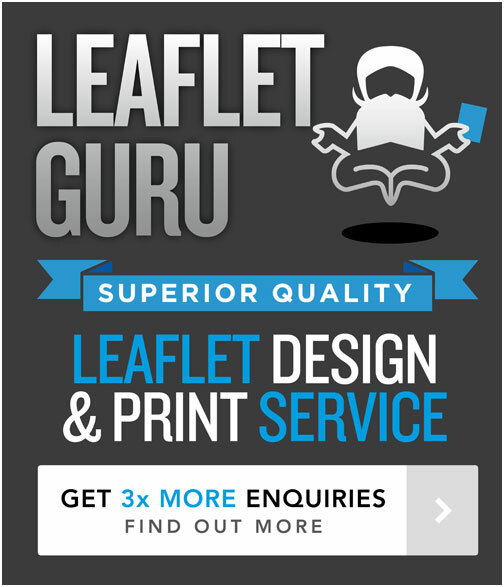 A lot of businesses these days use leaflet templates to try and save a bit of money, but what that means is that leaflets and flyers can look the same – as everyone is using the same templates! Anyhow here are 5 creative leaflet design ideas which have a different approach and might help you think outside the box when it comes to designing a leaflet! There should be no layout formula really for a flyer – it all depends on the brief and what you are trying to communicate as well as what audience your are trying to appeal too. So a flyer should always be different as every brief, client and audience is different. Don’t be afraid to think differently to make your flyer stand out from the crowd.